Early American Coinage, Dodge SRT-4 (03-05), muskie fishing. Baseball Hall of Fame Gold shipping? You mean weird stuff like guitar shaped coins? You did very well! Darkside material in Ohio is few and far between. What you see is either modern (as in 1990+) or coins so beat up you can hardly tell what they are (still in the 20th century!). Once in a while someone will have maybe one or two really nice darkside coins they got in a trade or something for sale. CONECA - Worth the membership fee? I'm getting into die varities, errors, etc quite heavily. I can't afford a lot of stuff to finish my sets but I can afford to cherry pick here and there. I actually just won a 1945 WLH missing the designer initials AW yesterday on eBay. At least I think I did. Can't see any on the photos and it's a pretty obvious mark. Maybe I'm blind! Anyways, does anyone here belong to CONECA? Is it worth the $25/year membership price? BTW There will be prizes. Worst of the worst and the 2nd ugliest entries will be awarded something from me. I play a lot of mobile games and we all use the program Line. Small app, very easy to use, and we've never had a problem with it. Sorry for the months late reply: The "reverse" on that Merriman is insane. I can't imagine the number of hours it takes to carve something so detailed, and the patience! I won an 1875-S Twenty Cent NGC MS65 the other day on eBay for $150 (it's a $4500 coin). Talk about a r-r-r-r-r-ip! He contacted me. Told me it was listed in error by their eBay program. Offered me a store credit but understood that if I wanted that Twenty Cent piece, he had to give it to me for $150. It wasn't his, he was selling it for someone else. Couldn't let the guy take a $3k+ hit like that even though I won it fair and square (sort of). Took him up on his offer. 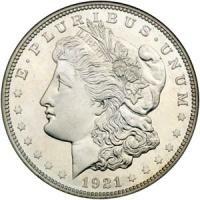 I now have a 1881-S Morgan NGC MS64 coming from him. Open to any offers. You tell me what you want to pay or trade.